Chilliwack – Join the City, FVRD, and the Chilliwack/Vedder River Cleanup Society to give back to the river that gives our community so much. Cleaning the banks of the Chilliwack/Vedder River helps to maintain its ecological integrity as well as the visual landscape. The City of Chilliwack has partnered with the Chilliwack/Vedder River Cleanup Society (CVRCS) and the Fraser Valley Regional District for the Adopt a River program, aimed at improving the environment of the Vedder/Chilliwack River through organized, regular cleanup events. Since 2002, the Adopt a River cleanup events have collected over 115 tonnes of waste from the Vedder/Chilliwack River shoreline. Events are typically held every April and September. Registration starts at 8:30AM Saturday April 13 at the Great Blue Heron Nature Reserve. 42530 Sinclair Road. 12 noon – 4:00 pm.This family friendly event will include crafts, a touch table, and a variety of free nature programs, including heron walks, pond dipping, and a hunt for beaver clues. 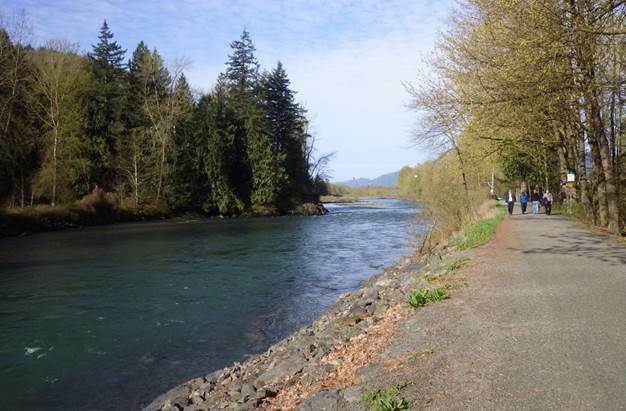 Be the first to comment on "Chilliwack/Vedder River Clean Up, Saturday April 13"